All My Friends. 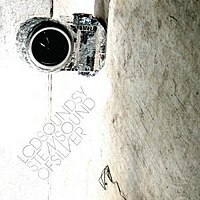 That spectacular, breakout song from LCD Soundsystem‘s excellent second record Sound Of Silver. That’s how I came to this record and this band (band? Can I call them a band?). This is pretty far removed from the kind of stuff I normally listen to. 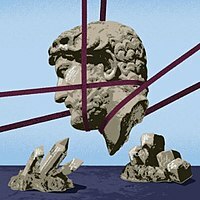 I don’t mind the odd electro single, but a full album? And so few of them have made me seek out the album. But the thing about electronica is that it’s sounds great and paints great imagery. 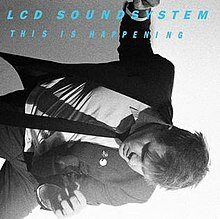 Whereas James Murphy and LCD Soundsystem uses electronica sounds and textures, but wields them with the craft of a master songwriter. His spot-on concerns match the accuracy of Elvis Costello. So, lets start with All My Friends. Could the song be more acclaimed? Such differently snobby music worlds as Pitchfork and Mojo both voted it their songs of the year. And it’s amazing – 7 and a half minutes of jagged piano rushing by, as Murphy contemplates getting older, the value of friends, not understanding the pop charts and how we live our lives. People started covering this song immediately, and by the time it was a single, the b-sides were covers by Franz Ferdinard and John Cale. The Franz version is actually pretty great as well. History and criticism aside, this song is one of my favourites as well. There’s been a running thought in my head in the last 4 years (and perhaps even longer) – I will never have all my friends in one room together. And when I heard this song, that idea got wrapped up in it. As the years go by, it’s all about friends. And being away, and maybe for the rest of my life, wherever I go, part of me will always be missing someone. And often, tipsy, in a bar, having a moment to myself, Murphy’s voice runs through my head. All My Friends is a big song and it overshadows the rest of the album. But it’s all great. North American Scum, the first single, has Murphy declaring he knows all the anti-American cliches already, so you can save them. 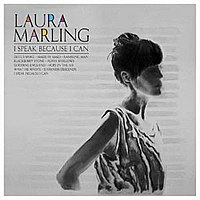 Since when has irony, sarcasm, unreliable narrators and subtext been used so fully on an electronica album? The other song that no review can go by without mentioning is Someone Great. It sounds like a death song, but maybe to an ex-lover? Or a friend that our hero fell out with? I’m not sure, but whatever that line about being smaller than my wife imagined – for some reason that image sticks. I picked up the first two LCD Soundsystem records around the same time. Although this is the better one (by a mile), I do have to quickly mention Losin My Edge. One of the greatest debut singles of all time. With an iPod, you just put the whole artist on shuffle. Which is really how I got to know this band. This is a radio edit or something. You really need to hear all 7 or so minutes of All My Friends. One of the key texts of the 00s. I hear it being ripped off everywhere already.